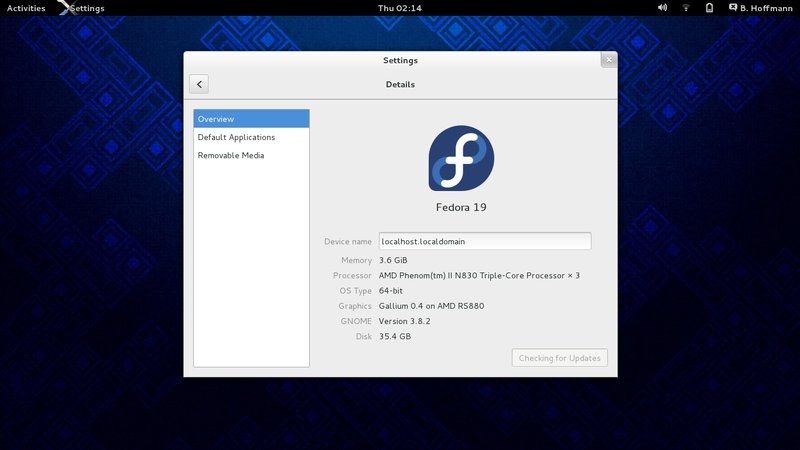 Fedora is one of those distributions I try from time to time but that ultimately fail to stay around, usually when it comes to the upgrade process. I last used Fedora 14, after brushes with 12 and 10, the KDE spin of which got slower with every point update to the desktop but whose LXDE spin actually got used for quite a few months. 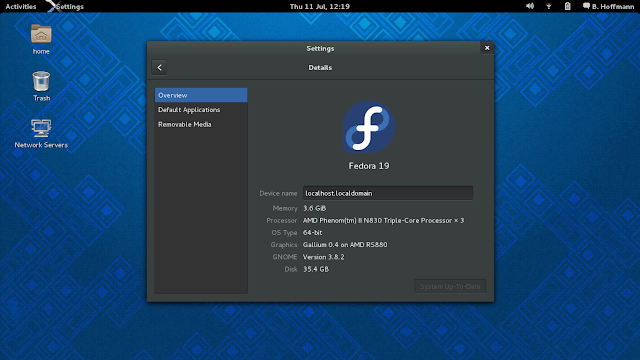 So let's see how Fedora 19 pans out, featuring GNOME Shell 3.8.2, and how/if that has improved since I last tried the Shell when it was freshly released on the unsuspecting public. In some ways this is reviewing two projects, the distribution and the desktop environment, and the short answer is on the whole it fared very well as I'm typing this in part from a Fedora live session and in part from the installation. It is also the first 'real' review for quite a while as I'm trying it on several computers, an Acer laptop and an older, custom-built AMD64 X2 socket 939. Acer Aspire 5551, AMD Phenom X3 2100MHz, Radeon 4200HD, 4GB RAM, Samsung 256GB SSD drive (original WD 320GB Scorpio Blue died early, stay clear), 1366x768 monitor resolution. AMD Athlon64 X2 2200MHz (not overclocked), original ATI Radeon 9800 Pro with 128MB, 3GB Kingston RAM, Samsung SP1614C (SW100-34) 160GB SATA, two optical drives (one for burning), Via internal sound, Soundblaster Audigy sound card, onboard Marvell Gigabyte ethernet, Realtek add-on ethernet card, Ralink wireless USB adapter, LG Goldstar 1910 1280x1024 LCD monitor, several fans as this used to be a gaming PC back in 2005/6. 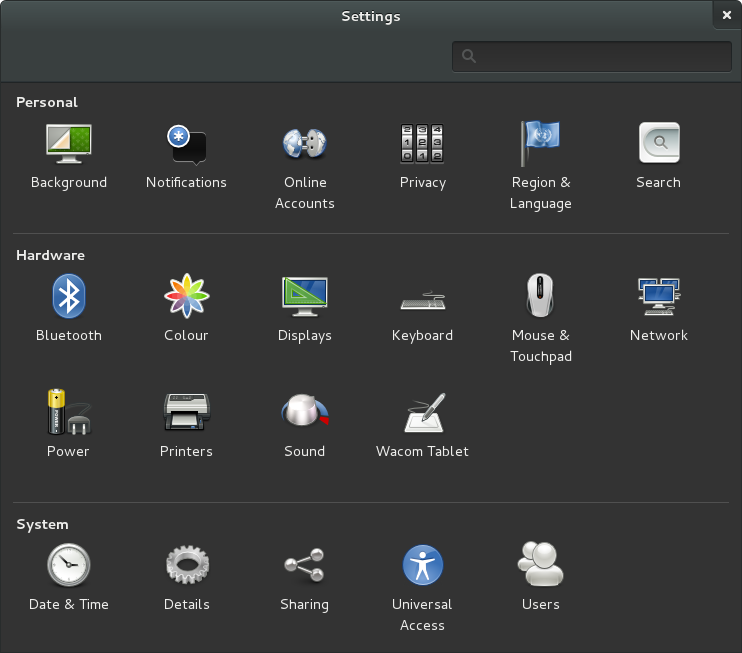 Fedora offers four official editions, the default desktop spin being the one using GNOME, then KDE4, LXDE and XFCE spins. With 32 and 64-bit images around it becomes a bit cumbersome to list all different sizes, but images get progressively smaller down the list, with only the LXDE and XFCE flavors still fitting on a CD. Interestingly, the LXDE spin is heavier. 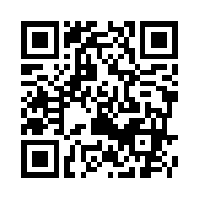 You can download them here or via torrent. Choosing 'Formats' at the top on the downloads page or 'All download methods', somewhat hidden on the right, reveals further options for install DVD's, a network install CD, even to receive Fedora 19 by mail from the Fedora Free Media program. It's as if they're trying to convert the world, there certainly can't be any excuse for not running Fedora if you want to. The DVD is billed as a better option to install from if you have limited hardware as the installer requires less memory. You can even download a 7.5 GB with source code for 19 and cloud images for qemu, in raw format, or for AWS straight to your Amazon Web Services account, selected by region. Quite cool if you're an admin I would imagine. Even I appreciate ready-made images I don't have to convert or install first. In addition one can find images for ARM with all the major desktops plus the GNOME 2 style MATE on the page for secondary architectures, a version for PowerPC64 (DVD and Netinstall only), a DVD image for s390, and a link to Pidora for Raspberry Pi users. That's a lot of options. As indicated, I chose the default live image which comes in at a not so handy 951 MB for 64-bit, both because I'm curious to see how the Shell has evolved and because with so many options it's probably best to judge a project by its default. First of all I tested the Fed in Virtualbox, which spectacularly failed to even boot, presenting with nothing but a black screen. After a while of nothing I powered down the virtual machine. This is btw the same behaviour in Fedora-derived Korora 19 (GNOME Shell edition). I then tried the live session on the desktop and ran in it for around 48 hours without a single error message, starting applications, browsing, playing with the settings. Unsurprisingly Flash is not installed given Fedora's free software stance. It was slightly odd that Firefox refused to play an Html5 video of an mp4 file that Google drive apparently converts on the fly for streaming, stating it needed extra plugins, but in general the experience was such that I'm asking myself time and again in such cases why not just run from Live mode the whole time, if you got compromised all it needs is a reboot and signing in to your account to sync bookmarks. As this image is now a little over CD size it was transferred to an 8GB SanDisk Cruzer with dd which worked well and resulted in a bootable USB key. On the topic of multimedia, free gstreamer codecs and plugins for VLC and Totem are installed which allows Firefox to play a variety of formats out of the box despite its free software nature. The DivX web player and Quicktime are supported, as are iTunes and Windows Media Player formats. Not bad at all and a good start to your multimedia experience, just not the full set. Monitor resolution and usually troublesome Ralink wireless were detected and after inputting the password the online world beckoned - nice start. Not so nice were how fonts displayed in tabs (see below) and in title bars. Nobody else in the reviews seems to have come across this and I'm wondering whether it's my graphics card, but the Gallium driver always worked with ATI cards before. Add to that the white on grey color scheme in application tabs and you can hardly read anything. GNOME Shell also still features the horrible oversized icons in the task bar that don't quite fit. But that's ok, it's GNOME after all. Title bars in Adwaita seem slightly slimmer now, with massive close buttons ONLY. The only other theme you get is High Contrast, which makes sense when viewed in line with the GNOME teams usual dedication to accessibility for impaired users, but is a bit poor when the default theme is so flawed, a hard to read mish mash of washed out grey, dark grey and greyish white, Rhythmbox being a particularly good example. Switching theme is almost a must. 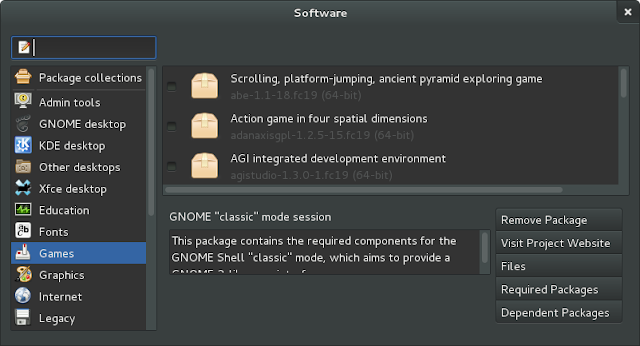 As themes in GNOME also tend to determine thickness of bars and panels, perhaps developers think that almost everybody will install their own themes anyway but it's odd to have this mixture of visual polish and complete indifference to presentation, in particular as this theme has received a lot of flak from early on and is quite hideous by any standards. Another nice touch is Firefox opening a start page by default designed to bring users up to speed with Fedora 19 and link to helpful information or join the project. This is continued later on in the full installation with a starter wizard and helpful videos. By chance I discovered the new lock screen design, complete with a nice flash yet subtle animation for unlocking. Very cool. There's no password by the way, so don't be afraid to leave your comp alone for a while . Unfortunately the ugly font bug showed up again. Any brownie points awarded for sleek styling lost again. There also doesn't seem to be anywhere you can adjust fonts or hinting in the Shell, actually there isn't much of anything to change preferences in the stripped system settings. Right-click on desktop works again by default but only allows to change the background, not theming, icons or fonts and subpixeling like in the days of GNOME 2. 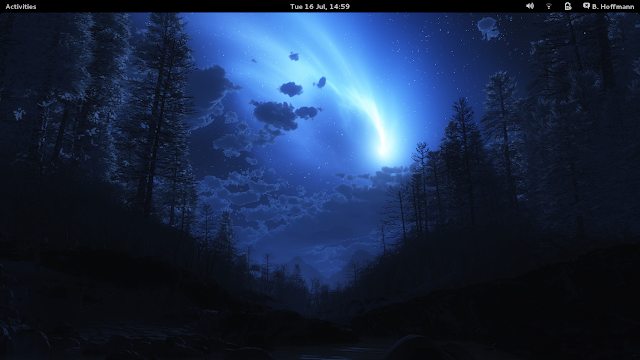 Fedora 19 appears to come with a very vanilla implementation of this desktop, which can be good or bad, but leaves you the option of shaping it your way of you know how to go about it. As Nautilus doesn't manage the desktop anymore (it's now called Files) there's no way to enable typical icons for home and trash to display on the desktop from here as it was still possible in earlier versions. Fedora detected my 10 year old Labtech Cheapcam which it said it needed to calibrate, something no other distro has had to do yet. For this it needed to download some files which failed, so no calibration and no webcam. You'll have to remaster your own if that's what you're planning to do in live mode. And that's all there is to say in this section. Since 18 Fedora has a new installer which, similar to GNOME, has had its fair share of critique. It's an unlucky combination for your flagship spin but we'll try our best, all in good humor. Fedora is testing ground regardless how many fanboys swear it's stable and works for them, if Red Hat didn't need people to play with stuff before it goes into Enterprise Linux it wouldn't exist. And that's fair enough, just don't expect a smooth, finished product. Nowhere is that more evident than here. For the sake of brevity I have hived this section off into a separate post, Installing Fedora 19. Let's just say that among other flaws button arrangement in the GUI is highly illogical and inconsistent, leaving you to scan every inch of every screen for fear of missing an important entry. Huge portions of the screen are wasted on grey nothingness. You change in and out of different philosophies of how to accomplish a task, leading to semi-transparent overlays for some but not for others. Partitioning is unintuitive and the whole process makes users go back and forth between steps that at times even use different terminology for the same thing. Chances are you will experience a crash or two and have to start all over. Some buttons are so huge they seem made for touch devices, others can barely be seen when squinting. Nevertheless, you're helping to test a new installer that will eventually find its way into RHEL. And you'll survive if you installed a couple of distributions before so you can use that transferrable knowledge. In the end all installers are the same as long as they work at all, and this one, while not pretty and still needing a LOT of work, gets the job done - eventually. Regardless, as it was such a horrible experience, I refrained from installing Fedora a second time and just ran it from an external hard drive, the 40 GB Fujitsu in a USB 2.0 enclosure. I actually find most installers incl. ncurses based ones easy to work with so I hope this is an indication of just how broken this installer is at this time. On the upside, it saw all three storage devices, installing to external drive went fine and the system booted no probs. Although I question whether the SanDisk which holds the OS should be visible. If you're reworking a perfectly good application, should you not improve on it? You get the familiar Fedora boot menu and then the logo on black background that is slowly filling up to indicate the OS loading. The boot sequence was no match for CrunchBang which boots in around 9s from SSD but did not feel overly long. In any case, any slowdown is usually down to me forgetting the password to unlock the drives. 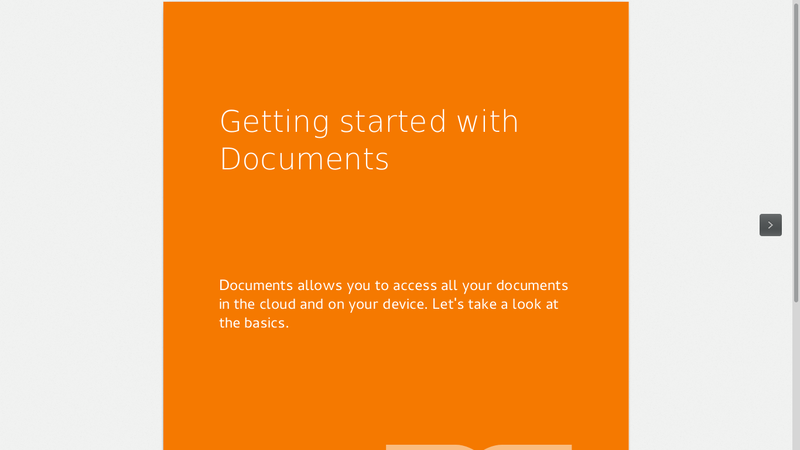 New users get a nice intro on how to accomplish common tasks, complete with videos. You also get another chance to set your keyboard layout. 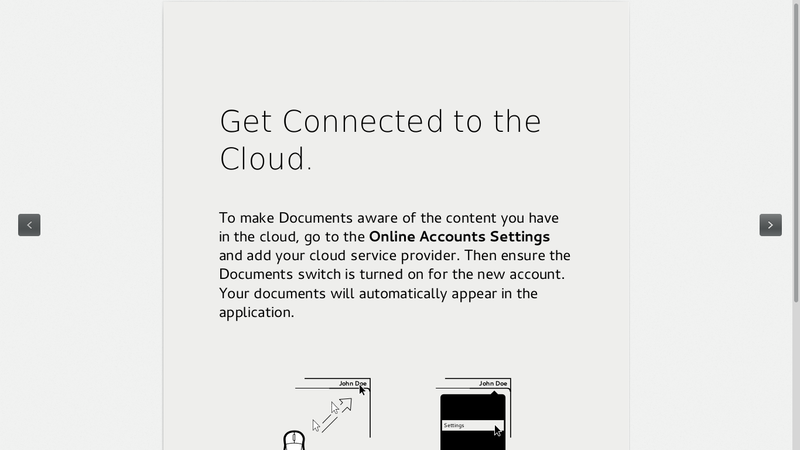 More prominent than in 3.6 (yes, I did peek) is now the ability to connect to online services such as Facebook and Google, the latter which gives you access to documents on Google Drive. As there are still no other viable clients for Linux this is a point in favor of using GNOME Shell. 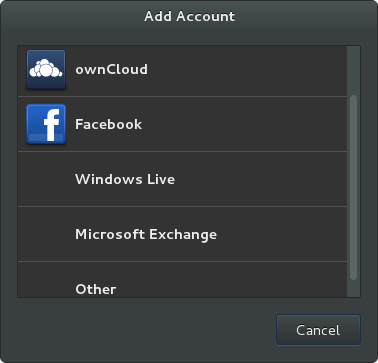 The Online Accounts Settings also supports Owncloud, Microsoft Exchange and the possibility exists to add other services although I have not tried them. Connecting with Google's service was slick though. Both my Broadcom 43225 chip in the laptop and the Ralink USB wireless in the tower were detected, with networks showing up just waiting to be connected to. Easy wireless connectivity is certainly one of the more important aspects in the choice of a distribution these days and there Fedora 19 excels. My screen resolution and sound hardware were detected and worked. No errors related to SElinux cropped up. I suppose policies have been well refined by now. The font issue in the title bar resolved itself but re-appeared in my composing window from time to time. Here's a screenshot of the installed system on the laptop identifying the graphics hardware. This time I was able to calibrate the webcam with downloaded color profiles although no application in other distributions tested or used long-term needed to do this before. Suspend and resume worked and wireless reconnected without trouble as well. Right after install there were 187 updates available, the most prominent ones being updates to Firefox 22.0 and the linux kernel 3.9.9 which keeps the newly released Fedora on the cutting edge. Since then another 111 MB of updates have become available and installed without affecting stability. Evolution mail refused to run the first time which led to a message that "There is a problem with Evolution". We're getting nearer Redmond's quality messages but after running it once from Terminal Evolution started fine from the dock thereafter. Grub2 detected all my other operating systems and added them to the menu and after the update there were entries for the new and old kernels in Fedora, a Fedora rescue mode, Debian and Slackware together with advanced options for both. 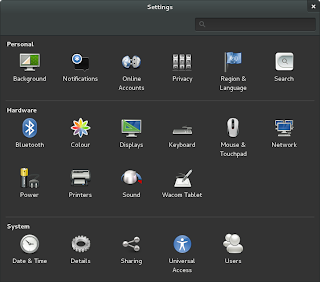 For a quick overview of the desktop check the GNOME 3.8 Release Notes for a list of additions and changes. It's the same old Adwaita theme by default with thinner title bars which, as hinted in the live session, can be hard to read. The notes speak of performance improvements but the animation upscaling the desktop to screen size after login felt a bit abrupt, although this may be due to the external connection. Still no way of minimizing to the taskbar either and once done your application is gone until you hit overview mode. Switching virtual desktops now requires Ctrl+Alt+Up/Down arrow instead of Ctrl+Alt+Left/Right arrows commonly used in other window managers and also GNOME 2 once upon a time. All change then. Tweak Tool is indispensable if you're planning on changing anything away from vanilla delivery, like the format time and date are displayed in, or to enable Adwaita dark in all applications without actually installing a new theme, but it's indispensable for managing those, too. Tweak Tool should be part of GNOME Shell. From here you can also re-enable desktop icons as this has been stripped from file manager preferences. The dark version of this theme provides better contrast and makes it much easier to read. While Rhythmbox's appearance is much improved it doesn't cover Firefox for which you might want to use one of the dark skins that exist for it. GNOME Shell is what it is and with liberal use of the many nice themes that exist by now and of a good number of extensions most people should be able to get it the way they want. 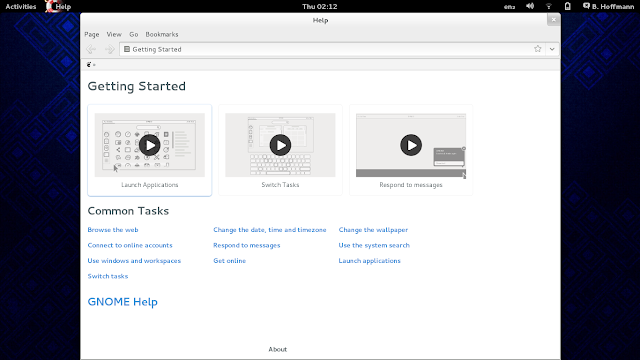 Although not my first choice, a plain Shell with a few choice extensions may actually be preferable to and lighter than the heavily customized Cinnamon or the MATE desktop built on an orphaned and soon to be outdated Gtk2. Apart from this drama there are actually a few more points relevant to the whole system. Cloud computing has been given more prevalence with inclusion of Boxes, a manager for virtual machines that can also be run over the network. Boxes can read most formats in use today for virtual machines and this aligns well with Red Hat's Cloud and Virtualization Portfolio. You can see which way the wind blows, testing ground and all that. In terms of language, there's a slightly disturbing trend to dumb things down pervasive in and around the GNOME environment and Boxes is part of that culture. The firewall application has been extended in Fedora 19 with Firewalld Rich Language which now supports easier crafting of intricate firewall rules. The graphical firewall-config interface is quite a complex tool suitable for managing an entire network behind the machine in question incl. setting up IP masquerading, not just a personal firewall. The new Privacy section under settings allows for periodic removal of usage history and to automatically clean the trash at intervals from one to 30 days and purge temporary files. 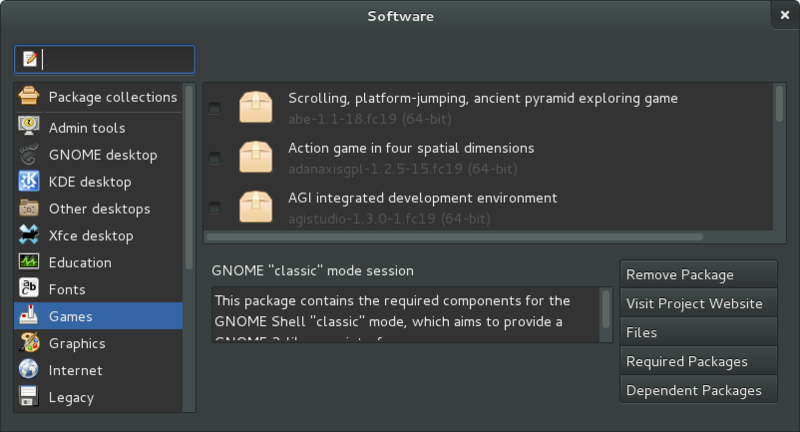 A classic mode has been introduced for GNOME which does not ship by default in the live spin but needs to be downloaded and then selected in the login manager. EL7 will be using classic mode so as to keep existing users happy, the ones that pay and therefore matter. Classic mode is replacing fallback mode and is very close to the old GNOME 2, entirely enabled by extensions. Unfortunately it did not show up for me and I was thus unable to try it. Package management is taken care of by PackageKit, but searching for 'pack' in the Activities view did not yield any results, searching for software did. Another example of dumbed down. Software updates and the package manager interface worked well for searching and installing additional packages. It doesn't do much else and is for instance lacking filtering by installed vs available packages. For those who prefer the command line Yum is also available.The graphical tool is simple but works and for more advanced options there's always the terminal. Extra repositories like RPMfusion to enhance multimedia functionality and get the non-free Flashplayer for watching videos online can be added, just as many other codecs and video editing software to name but a few. After checking it out for a little over a week I have to say Fedora did not crash once and worked remarkably well if you forgive the installer, classic mode not loading and whatever one doesn't like about GNOME Shell. Power usage and battery life were also much better on the laptop than normal. Together with top notch hardware recognition this makes for quite a strong point and overall it left a positive impression. The 64-bit edition also performed remarkably responsive via USB. 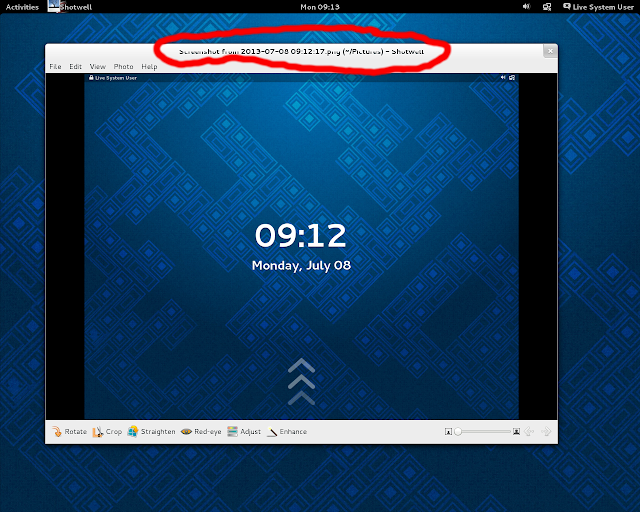 Fedora 19 is a curious mix in its default offering. No doubt GNOME Shell has matured and is better in its 3.8 incarnation but it still has some way to go. It requires a change in habits but rewards with a clean environment. Gnome-Tweak-Tool should be part of every installation or of GNOME itself. Without it you can't even change fonts. Unfortunately the installer is still in its infancy, but experienced users will get the job done. Auto-partitioning is the easier option and computer literate persons with little experience of installing distributions may succeed with the installation as well. I also value this distribution for easy set up of disk encryption and LVM. Chances are Fedora 19 with a more traditional environment like Xfce would be more up my street. There are plenty of choices out there for graphical desktops, or if you insist on navigating with shortcuts and keyboard, give me Openbox any day. Using a different spin would eliminate the inherent problems of the Shell and only leaves the installer as main weakness, something one would only have to use once. In terms of the underlying system, hardware recognition and support, stability, package management and availability, fresh software, capability and features Fedora 19 seems excellent and well-balanced. If waiting for EL7 is too long this may be what you want. Updated 16/07/2013. Added more screenshots for illustration and made some changes to the text. Your review is well done. I appreciate the hours of time you dedicated to producing it. 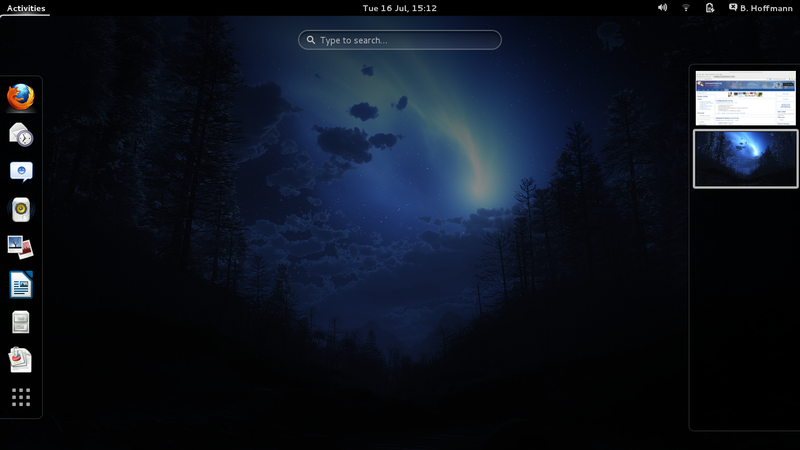 I preferred the Gnome that came with Fedora 18, but like the features of Fedora 19. 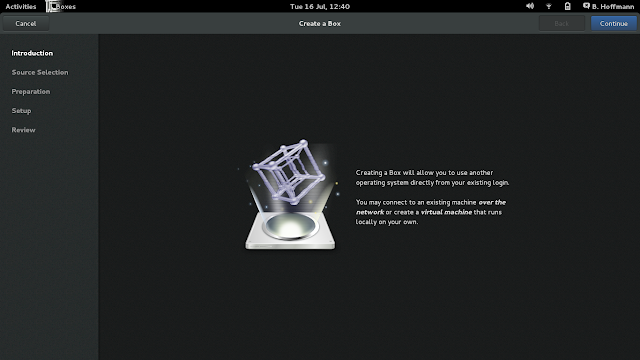 In that regard, I switched to KDE as my Fedora 19 interface, and I am delighted. With KDE I find what I want quickly, without having to scroll and scroll and scroll, as is necessary with F19 and Gnome. 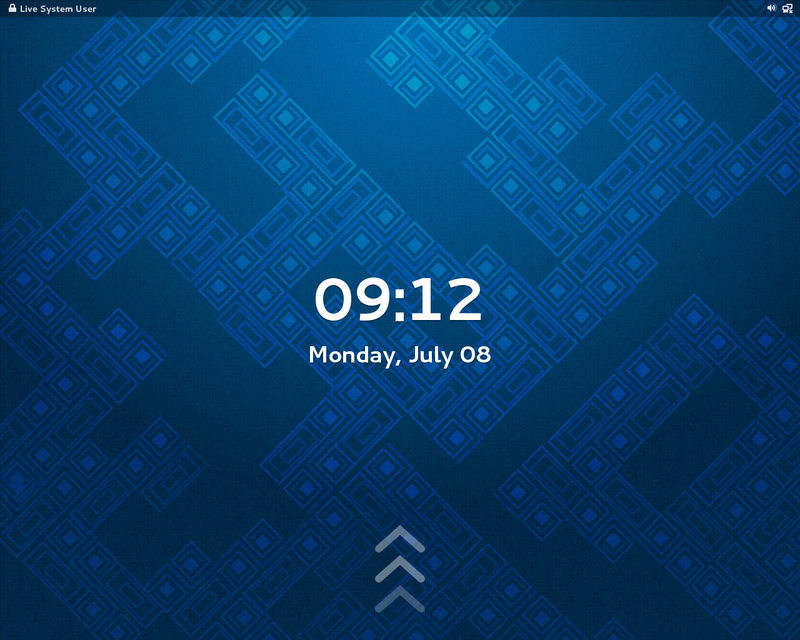 No, a desktop is not a tablet, and KDE is my preference for now. "Not so nice were how fonts displayed in tabs (see below) and in title bars. Nobody else in the reviews seems to have come across this and I'm wondering whether it's my graphics card, but the Gallium driver always worked with ATI cards before." I have seen this error on Fedora 18 also. (In Gnome) It was more noticeable when using Chromium or Chrome, as the font errors seemed like they were shifting, or blinking. I use two older HP's (ZE2000 and HP Compaq 6910p) and noted that there was similar missing area in the fonts. 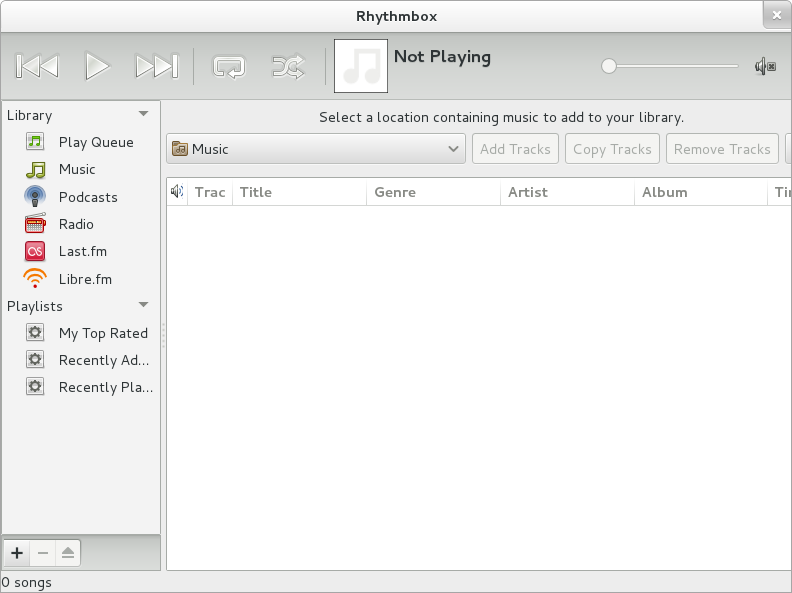 I seen it on both Ubuntu 13.04 with Unity and also with their Gnome 3 (Remix). Both laptops have ATI cards. Thank you both for your comments. Always appreciated to get confirmation.